‘Kin Khao’: A Thai expression of welcome. An invitation to share food. If you’re looking for authentic Thai cuisine that’s not watered down; an exciting wine cellar, a large range of craft beers and award-winning and friendly service, you’re in the right place! We are passionate about our food and we are always experimenting with new flavours and recipes from all over Thailand. A WordPress site, it features menus, reviews and details about Thai culture and food. The site also allows you to order food online. 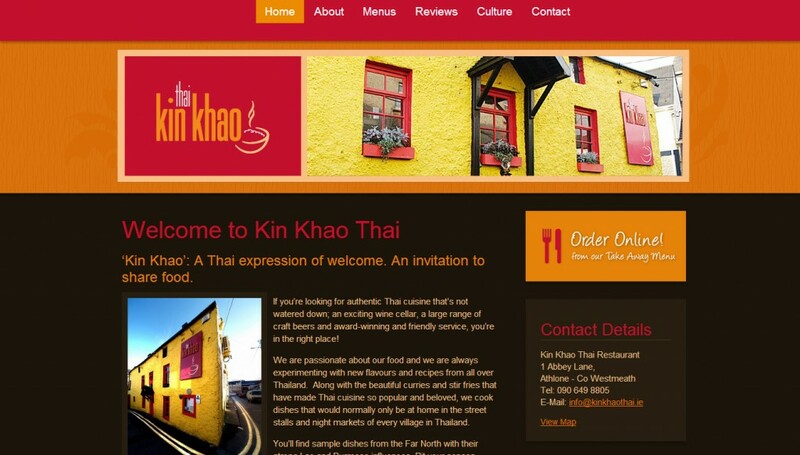 It’s www.kinkhaothai.ie, to get a taste of Thai cuisine and culture.